State Representative Christine Barber has refiled legislation in the current session of the Massachusetts House of Representatives that would allow the City of Somerville to compel Tufts University to provide an institutional master plan outlining its development objectives, after the previous version died in committee without getting a floor vote in spring of 2017. Tufts’ trade group, the Association of Independent Colleges and Universities in Massachusetts (AICUM), which was chaired at the time by University President Anthony Monaco, lobbied a key lawmaker against the previous bill and may have played a role in its demise, Barber, whose district includes Somerville and Medford, claimed. Monaco served on AICUM’s board from the fall of 2015 until the spring of 2018 first as vice-chair, then chair and finally as member ex-officio last academic year, according to the organization’s archived web pages. Tufts spent more than $2.1 million on lobbying between 2013 and 2016, with total expenditures growing each year, according to the university’s 2016 public 990 tax form, the latest available. In an email to the Daily, Rocco DiRico, Tufts’ director of community relations, declined to reveal the amount of this money that Tufts pays in annual dues to AICUM. He said the dues cover trade group expenses like staff, conferences and research. The current and previous versions of the bill would give Somerville an exemption from a 1950 Massachusetts General Law commonly referred to as the Dover Amendment, which prevents municipalities from prohibiting, regulating or restricting any land use by nonprofits that would be devoted to educational purposes. DiRico did not know whether Monaco made a specific request for AICUM to oppose the bill. However, he added that the president knew of efforts to repeal the Dover Amendment. Following a series of planning disagreements between Tufts and Somerville in 2013 and 2014, during which city officials worried that university expansion would reduce housing affordability, a key priority for the city, Somerville City Councilwoman Katjana Ballantyne proposed an ordinance that would have required Tufts to publish institutional master plan, according to a December 2016 Daily article. Master plans are detailed outlines of how an organization envisions its future physical expansion, and, in the case of universities, enrollment, according to Ballantyne, who represents Ward Seven, a section of Somerville south of Tufts’ campus. Ballantyne, now the city council president, told the Daily that the ordinance and the resultant master plan would enable the city to better anticipate Tufts‘ development plans and require Tufts to notify the city of any changes in their intentions. However, because of the Dover Amendment, Somerville sought an exemption from the Massachusetts State Legislature. 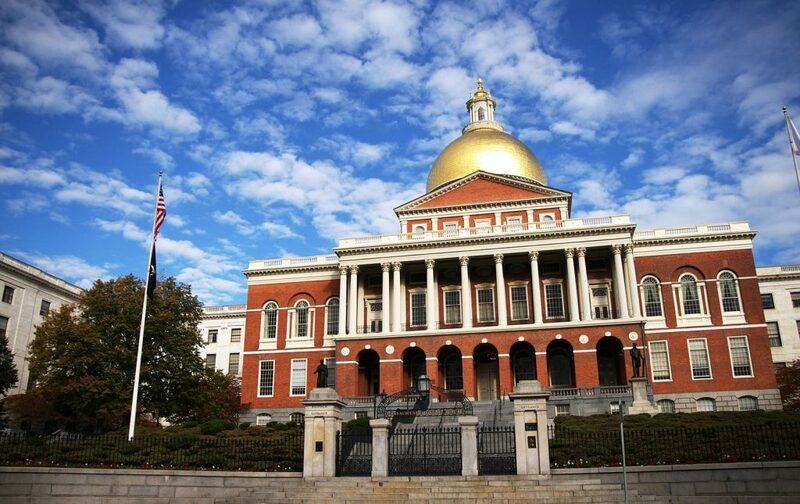 The first attempt to get the exemption began when Barber and State Senator Patricia Jehlen, who also represents Somerville, filed a bill to do so in November 2015. Barber said the bill never received a floor vote because it had been filed too late in the legislative session. Two months into the next session, in March 2017, Barber refiled the legislation. According to State House records and documents reviewed by the Daily, a hearing was held on the bill in May of that year, during which local officials, including Ballantyne, offered testimony favorable to the bill. Barber said she could not remember any testimony given opposing the bill during the hearing. The bill cleared the House Committee on Municipalities and Regional Government on June 1, 2017 before getting a second reading six days later and being referred to the House Committee on Bills in the Third Reading, the last stop before a floor vote. But no floor vote ever happened; no further action was taken, and the bill died in committee. Barber said that sometime during the summer of 2017, she went to see the chair of the committee in which the bill had stalled, Massachusetts State Representative Ted Speliotis, to see why the bill was not moving. Barber said Speliotis explained to her that the bill had faced some resistance from AICUM’s team of lobbyists. Speliotis, who represents Danvers and Middleton, could not remember his specific interaction with representatives of AICUM but rejected the idea that their actions swayed his vote. “Did I meet with [AICUM] on this bill? Over the years, probably once, yes, but like I said, it’s not the overriding issue. You have the right to meet with everyone. It doesn’t mean I haven’t done [that] in the last few years,” he told the Daily. That same summer, Monaco had just finished his term as chair of AICUM’s board of directors, an organization which engages in political advocacy for Massachusetts private colleges and universities, according to its website. As of 2019, the group has three lobbyists registered with the Secretary of the Commonwealth’s office, including the organization’s president, Richard Doherty. AICUM lobbies on a range of issues; during Monaco’s time on the board, AICUM supported legislation that encouraged student loan repayment while opposing bills that would have amended or reviewed the Dover Amendment, ensured a minimum wage for adjunct professors and increased university police force transparency, according to lobbying declarations from between 2016 and 2018. These records also show that from January 2016 on, all of AICUM’s lobbyists were registered to oppose the two versions of the master plan bill that had been filed in the last two legislative sessions. AICUM paid $29,000 annually to O’Neill and Associates, one of Massachusetts’ most powerful lobbying firms, to farm out some of its lobbying, including for the master plan bill, according to their lobbying declarations. In an emailed statement to the Daily, Doherty confirmed the organization had actively lobbied against the bill. He wrote that the Dover Amendment allows educational organizations the flexibility they need to plan in the long-term while also striking the right balance with municipal concerns. Doherty went on to say that granting exemptions to the Dover Amendment would create unpredictability for colleges because it would disrupt the special permitting and zoning process that they enjoy under the current system. “For over a decade AICUM has consistently opposed proposals like [the master plan bill] which would erode the very essence of the Dover Amendment – to ensure that religious and academic freedoms – two cornerstones of our Commonwealth – are protected from the vagaries and politics inherent in the zoning approval process,” the statement reads. Speliotis used a similar logic to justify his decision. He said the legislature is very “selective” about passing bills that could affect universities or hospitals and that the Dover Amendment is key to upholding the freedom of academic and nonprofit institutions. He also argued that if an exemption were granted to Somerville, every municipality in Massachusetts would want one as well. “It’s hard to say … ‘yes’ to one community, then say ‘no’ to 300 other communities,” he said. In her testimony on the bill two years ago, a copy of which Ballantyne provided to the Daily, she pointed out that Cambridge and Boston have both been granted similar exemptions to the Dover Amendment. Because of its health sciences campus located in Boston, Tufts already provides a partial master plan, the most recent of which was updated in 2016. Speliotis said that Cambridge and Boston are special cases because they have such a high concentration of universities and hospitals, whereas Somerville’s exemption is largely focused on Tufts. The two other members of the Committee on Bills in Third Reading, Carole Fiola and Angelo D’Emilia, told the Daily they did not remember meeting with representatives of AICUM or Tufts about the bill. Fiola said the committee reviewed around 900 pieces of legislation last session and some 200 of those did not see a floor vote. However, Barber, who authored the bill, believes that lobbying by AICUM did play a role in the bill’s demise. Support for a master plan remains strong among Tufts’ neighbors. Residents frequently cited requiring a master plan from Tufts as a priority in a survey of Somerville residents conducted this summer by the Cambridge-based Consensus Building Institute, and some residents are quick to point to times when a master plan would have been useful. Jim Monagle, a member of the West Somerville Neighborhood Association who participated in talks with Tufts the last time they released a master plan in the 1980s, singled out Tufts’ efforts to purchase the apartments at 119 College Ave. in 2015. The university’s plan was only discovered by the city when MassDevelopment asked the city council to weigh in, as Tufts had never informed them, the Daily reported. Monagle believed the purchase would have further driven up the cost of housing in the area. He said he was glad the council members had caught it but hoped that a master plan could prevent similar situations in the future. Monagle believes that a master plan would lead to constructive discussion between the community and the university and would enable Somerville to better defend its interests against an encroaching university. James Bride, another member of the West Somerville Neighborhood Association, said the core issue is transparency regarding future expansion. DiRico wrote in his email to the Daily that Tufts has conducted three community meetings in the past year to discuss campus planning and that the Office of Government and Community Relations will host another on April 24. “When Tufts University pursues a new construction project, we go through a rigorous process to have that project reviewed by our neighbors, elected officials and the local municipality,” he wrote. Bride was unsurprised that AICUM had lobbied against the bill. He said institutions like Tufts have the right to represent themselves in the legislature but was unimpressed by how they justified their opposition to the IMP bill. “We’ve got a huge higher-ed industry in Massachusetts, but these institutions exist in communities and the Dover Amendment shouldn’t be a carte blanche to ignore the communities that are hosting them,” he said. CORRECTION: A previous version of this article misidentified the bill to which Tufts justified its opposition. That bill is the IMP bill, not the Dover Amendment. The article has been updated to reflect this change. The Daily regrets this error.